Many degenerative disorders preferentially affect neurons with large axons/dendrites including Purkinje neurons, Betz cells, motoneurons, and sensory neurons. Thus, it’s plausible that defects in growth machinery that contribute to "extreme" neuron growth contribute to pathology in these diseases. 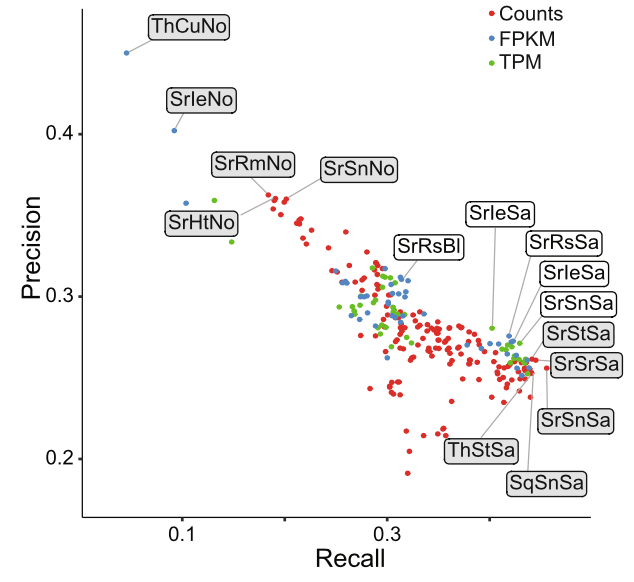 To identify factors required for extreme growth in neurons with large dendrite arbors, we conducted a genetic screen for mutations that differentially affected growth in neurons with different sized dendrite arbors. At present, we have characterized one of these mutants in detail. This mutant selectively affects dendrite growth in neurons with large dendrite arbors without affecting growth of the animal overall. This mutant disrupts a putative amino acid transporter, Pathetic (Path), that localizes to the cell surface and endolysosomal compartments in neurons. Although Path is broadly expressed in neurons and non-neuronal cells, mutation of path impinges on nutrient responses and protein homeostasis specifically in neurons with large dendrite arbors, but not in other cells. 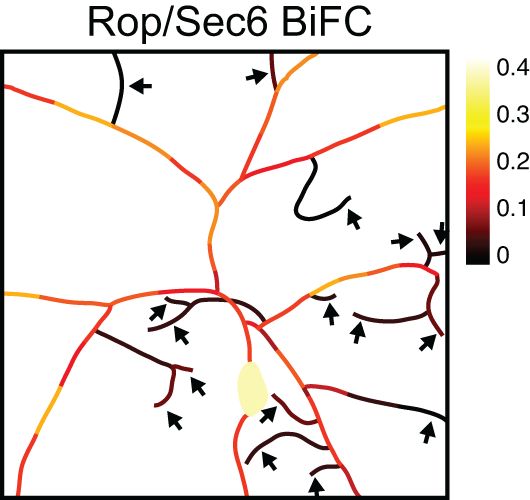 Path regulates translational capacity in neurons, and we are currently investigating whether Path can be engaged in other cell types to confer robustness on growth control. (A) Path is required for dendrite growth in somatosensory neurons. 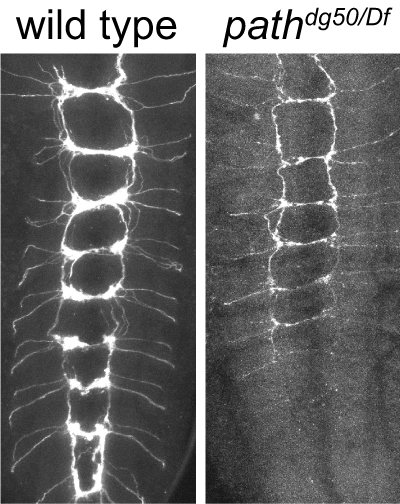 Representative images are shown for somatosensory neuron dendrite arbors in wild type and path mutant larvae. (B) Putative pathway for Path-mediated growth control. 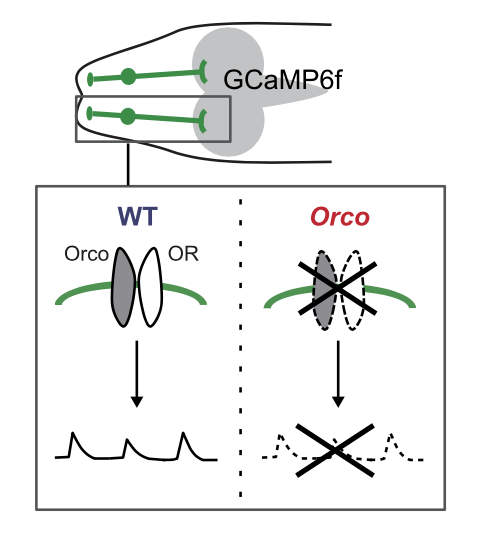 Path regulates translational capacity in neurons via an unknown pathway that might involve TORC1. (C) Path control of translational capacity. 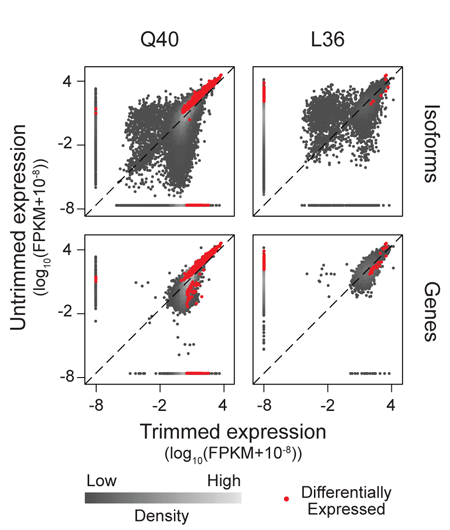 Even in the absence of path function, cells have residual translation capacity that is sufficient to support growth of most cell types under laboratory conditions. A prediction of this model is that stresses that compromise translation efficiency should sensitize cells to a requirement for path function. 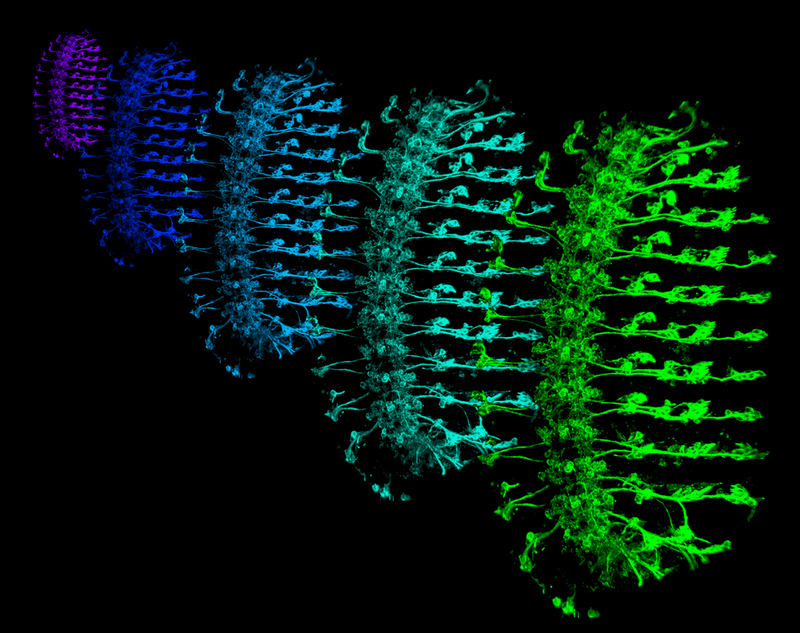 Axons and dendrites contain structurally and functionally distinct sub-compartments. 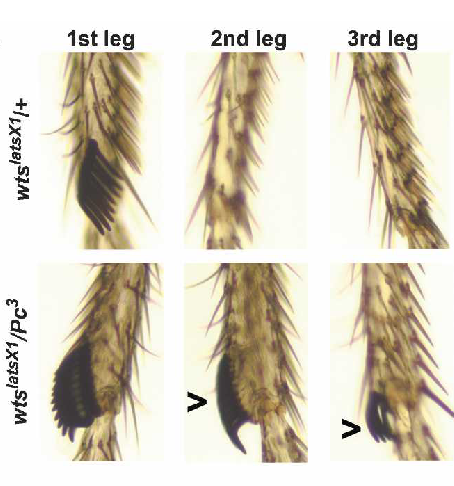 Whereas axon/dendrite compartmentalization can be attributed to neuronal polarization, the developmental origin of sub-compartments in axons and dendrites is less well understood. 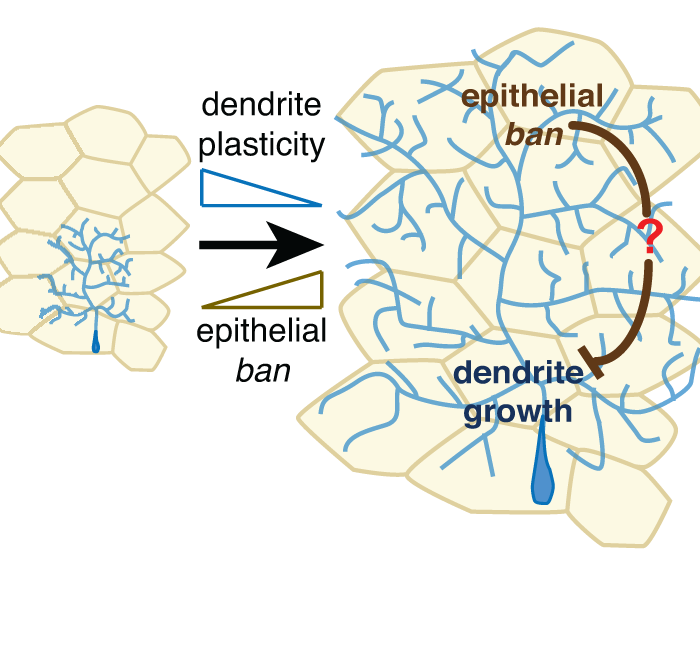 To identify the developmental bases for compartment-specific growth and patterning in dendrites, we conducted a genetic screen for mutations that affect growth/patterning of discrete dendritic domains in Drosophila somatosensory neurons. 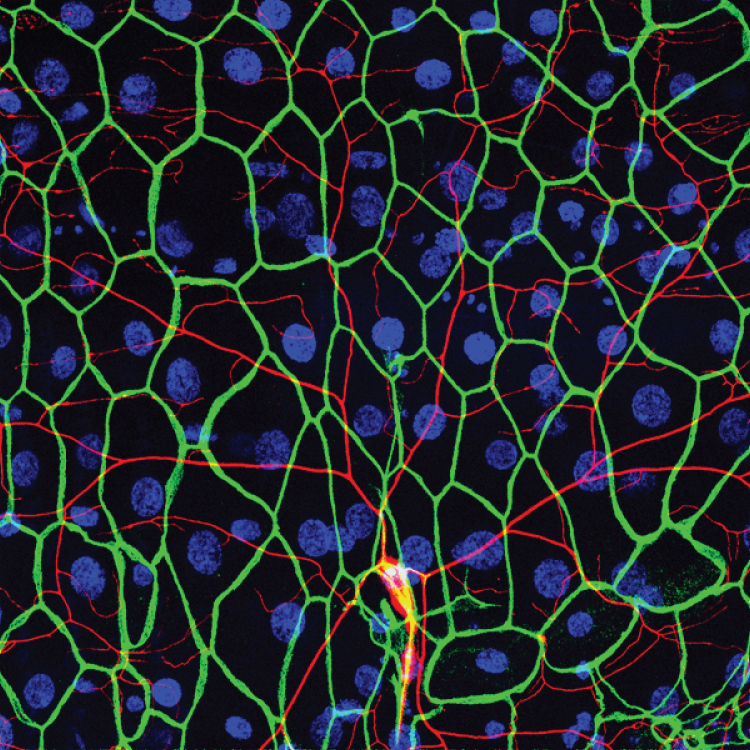 From this screen, we identified mutants that selectively affected terminal dendrites, including terminal dendrite position along the proximal/distal axis, and patterning of terminal dendrites, suggesting that distance from the soma and branch type (major or terminal dendrite) are two key pieces of positional information in dendrite patterning. genetic screen for mutations that cause defects in dendrite compartmentalization. Representative neurons are shown for the following: (A) wild type control, (b) jj329, which affects proximal-distal positioning of dendrite branches, (C) jj472, which affects elongation of terminal dendrites but not major dendrites, and (D) jj835, which is required for growth of terminal dendrites but not major dendrites. 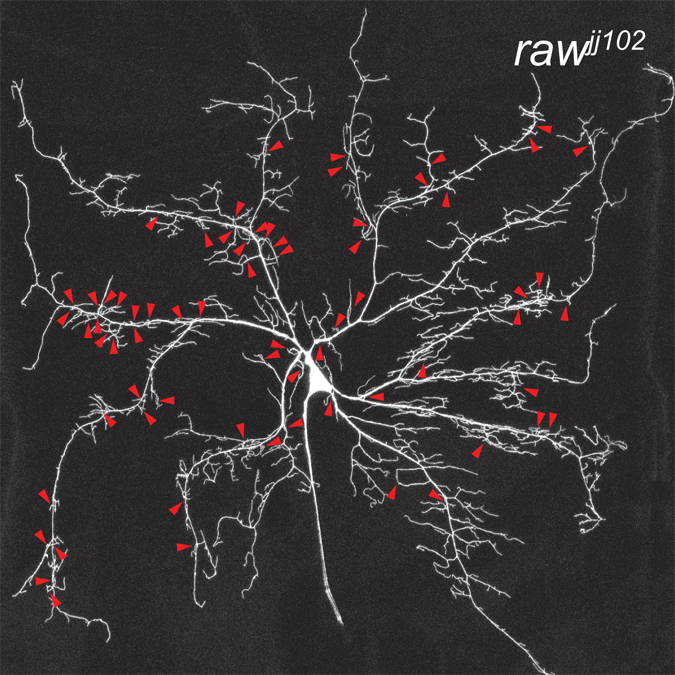 Traces below neurons depict major dendrites in red and higher order dendrites in gray. For more information, check out our recent publications.